General snow Blower information you need to know. We used to include this material with every post. Now we link to it to allow us to provide more information about specific snow blowers and snow throwers that are being reviewed. Please read this information for your own safety and information. Most customers will have to arrange for delivery of their new snow blowers. They are far too big to take home in your car, so you will need a trailer, rent a van or arrange for delivery by the store that you are purchasing the snow blower from. There will be a charge for this service, but it will be the easiest way to arrange for your new snow blower to be delivered to your home. Some stores will rent their vans/trucks to you for a very low price for 2 hours for you to take your purchases home. Most snow blowers can be purchased with tire chains to provide extra traction in icy situations. In addition, snow shields are also a good idea if you want to protect yourself from windy conditions and snow being blown back at your face by the wind. Clearing Snow from the Augers – this is were lots of people are hurt every year. Before you try to clear snow that is plugging the augers, shut the engine off. This could avoid sudden turning of the augers or the impeller . This could cause lots of damage to fingers, hands and arms. Use Snow Clearing Tool – This is the really important part. You have plugged the augers with snow, you have shut the machine off and now you are trying to clear the snow away. Never place your hands inside the augers to get at the snow. Use a broom handle if you have an old machine. Or the snow clearing tool that came with your newer machine to clear the snow. You can also purchase these tools from most stores as an extra. Or if you break yours or if you have an older machine which does not have one. This is the safe way to clear snow from around the augers and the impeller. Sometimes the snow is so compacted, that as you clear it away, it allows the augers to turn. This is due to built up tension in the pulley mechanism. Better to have a broom handle stuck in there than your hands! We have been trying to find out exactly what CARB compliance means for snow blowers for the past hour and have only found the following definition, which is not complete, however it is the best we could find. Most engines in California, must be CARB compliant. The objective is to manage the level of pollution in all gasoline and diesel burning engines. California has some of the most restrictive controls in the country to help them deal with SMOG issues they have in major metro areas. This is good for all of the country, not just California. It comes from Amazon. We wanted to add this definition to our blog, because many snow blowers indicate that they are CARB compliant and we really did not know what it meant. If you live in California, just about any engine you purchase must be CARB compliant, while other states are in various stages of adopting this standard. California has some of the toughest anti pollution laws in North America. If you have ever been in LA during the summer time, they you will understand why. The haze over the city can be really bad, so much so that sometimes you cannot even see downtown from some of the distant suburbs. While all engines emit pollutants, CARB compliant engines will emit far less pollution so it is important to do your part to contribute to cleaner air for all of us. We already have far too much pollution in our air. That is about all we can say so far about CARB Compliance as it relates to snow blowers, however we did find that it also applies to lawn mowers and most small engines in California. Also they have extended this compliance requirement to diesel engines as well which covers tractor trailers. Truckers you must pay attention to this requirement across the country, but especially in California. A CARB compliant engine only really meets this condition as long as it is maintained well. 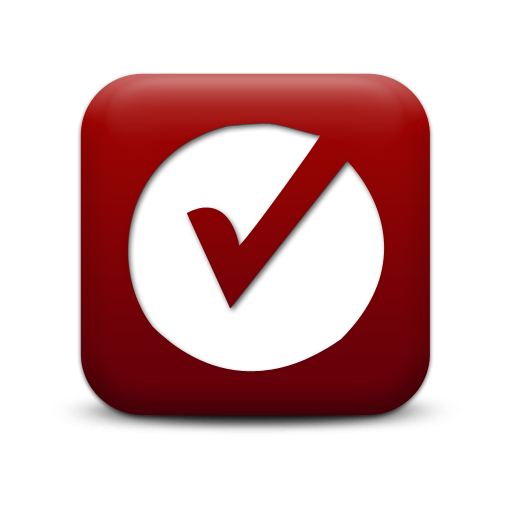 This means changing the oil regularly and using the right gasoline for your engine. Consumers can reduce the pollution caused by lawn mowers by making sure that the spark plug is always clean and gaped properly. They should use fresh gasoline. They should use a 4 cycle engine and not a 2 cycle engine which burns oil in the gasoline. The oil should be changed on a regular basis. 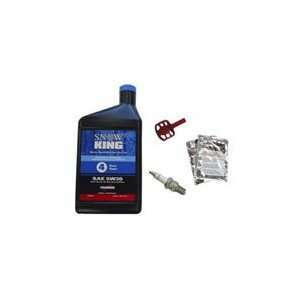 Clean oil protects your engine as well. It will ensure that it lasts a lot longer than it would other wise. Even after 6 months of use, your oil will be black. It will not doing a very good job of lubricating your engine. Many people do not bother with this kind of basic maintenance and a CARB compliant engine can quickly become non CARB compliant simply due to lack of good maintenance. Take the time now to evaluate your oil right now in your snow blowers engine or your lawn mowers, consider the last time it was changed and make arrangements to change your oil before you use your lawn mower again. Follow the standard safety procedures that are outlined and covered in your lawn mower’s manual. If you are uncomfortable doing this yourself, arrange for a handy man to do the work. Or take it into a small engine mechanic to have the oil changed. 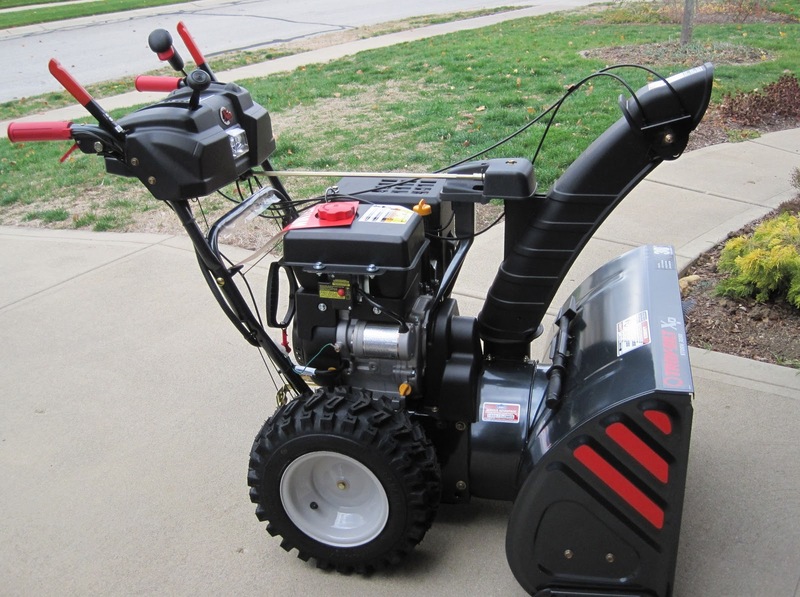 Keep your snow blowers engine running in an optimum manner to minimize pollution. Winter is Over for Most of Us, especially in the northern US, however for some people in Canada and those at higher elevations you may still have snow and get a lot of snow until even mid June which is a really scary thought. You even might get a freak snow storm in May, but it is getting pretty close to late spring and that means lots of sunshine and no snow. The good news if you do get snow is that it will not stay around very long. The warm sun is going to melt the snow quickly even if you have to clean it off the driveway and the front steps. Once the snow is gone it is time to consider snow blower maintenance before you put your snow blower away for the summer. This is probably the last thing I really want to think about at this time of year, but it is a good time to do some maintenance on your snow blower. It is too early to rake the lawn, it is too wet and it is too early to plant the garden or start thinking about planting flowers and shrubs. The ground is just not warm enough, in fact in some areas it could still be frozen. So why not do some basic maintenance before you put your machine away for the summer and forget about all f the things you were going to do with your snow blower. If you are really not in the mood that is ok too. But at least make a list of things that you want to do with the snow blower. The list probably will include all of the standard things, and we will provide a partial list later on. But it should also include any maintenance items which you noticed while using the blower during the winter. No one wants to work when it was either too cold or not bad enough to worry about or both. Add those items to your list now and tape them to your snow blower. If you leave it anywhere else you are going to forget were you put the list in the summer or next fall when you finally get around to completing the list. That is about it for this post. Just a short one to remind you that you can save yourself a lot of money through proper care and maintenance of your snow blower. Mine is over 25 years old and still running well. I have changed the spark plug once and clean it every year. The oil is also changed every year. Moving parts are oiled or greased to ensure that they are all running smoothly. I also spray used engine oil on the frame to avoid and delay any rust due to the salt. It sometimes picks up salt from the snow that the plow pushes off the road. Comments appreciated. For more information about repairs and maintenance information, click here. Winter is almost over and most people cannot wait for it to be finished. Yet old man winter just keeps bringing one more storm to bother us after another and dumps all kinds of snow on us. Fortunately most of this snow now is a combination of snow, wet snow and rain and even if it does accumulate, we know that it is not going to last long. Winter also brings thaws and freezing cycles which is what causes these huge pot holes all over the place. They damage our cars and cost us thousands every year. City expenses are going up at an astronomical rate due to pensions and management costs, so they are cutting in other areas. Our roads are getting worse every year as repairs are not being made as fast as they should and this means that there are going to be more and more potholes to contend with. We really have to be careful of the potholes that form in the streets. 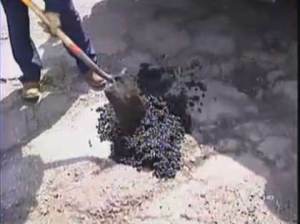 Potholes occur when there is a lot of fast freezing and thawing. When the water gets under the pavement, it freezes and pushes up a small section of asphalt and then the asphalt disintegrates as cars and trucks drive over it, leaving a hole in the road. There can be thousands of these pot holes and they can really damage your car if you are not careful. In Toronto the other day, a man was knocked out when his car hit a pothole. Which was violent enough to trigger the air bag to be deployed. The air bag knocked him out as it deployed. He must have hit that pot hole pretty hard at a fast rate of speed. How about that and it is a real story. If you hit a large hole too hard, you can trigger this kind of reaction in your car. You can do even worse damage. Your tire could be punctured giving you a flat tire. You can also cause your alignment to be pushed out of whack. This will not show up for months until one day you notice that your tires are wearing unevenly. Then it is the cost of a new tire, and an alignment. Which can go into five or 6 hundred dollars if you are not careful. Although pot holes seem to be the worst during the spring until the road crews are able to make repairs, there can be large pot holes form at other times of the year as well. These are sections of pavement that are weak to start with and the continuous pounding of traffic will dislodge some of the asphalt leaving a hole. Drivers need to be watching he road at all times and trying to avoid these large potholes no matter what time of the year. A monster pot hole opened up one day after a rain storm. Actually it was a sink hole that formed in the middle of the road. The road was undermined by a culvert that collapsed and driver drove his car right into it. He was lucky to get out alive. His car was a write off. If you must go through a pothole, slow down and take your time. No damage to your car and you will not get knocked out or worse. My neighbor hit one. It cost him close to one thousand dollars to pay for the damages to his car. So what if it takes a little longer to get to the office. You will save yourself a lot of money, not to mention the frustration of having to get your car fixed! It is the middle of summer and who wants to even think about clearing snow and the cold winter that is coming. Yet this is the best time to start making arrangements as well as deciding whether you are going to purchase a snow blower and clear snow yourself or hire someone to do it for you. Calling early might net you a discount for early contract signing or a sale price on a snow blower, but make sure you do your home work in both cases. For some people the decision is pretty easy. They have no desire to be out in the cold weather clearing snow and are very willing to have someone come in when ever there is a snow fall. Other people look at the economics and for them it it is a clear decision. They want to have a snow blower and they want to do it themselves, because they figure it will cost them less money over the life of the snow blower. I fall into the latter group and would never consider hiring someone to clear the snow. But what are the economics of the decision. Once you get past the emotional part of the decision and the discomfort part of the decision it just comes down to cold hard dollars and a set of assumptions. We will try to list a few of these in our blog to help people make a decision for them selves. In making this type of analysis you really need to make a few assumptions. They will be different for each person based on where you live and how large a driveway you have. Adjust the numbers to fit your situation and recalculate to see what the trade off is between hiring someone to do snow clearing for you vs. purchasing a snow blower. The cost of owning and operating a snow blower over five years based on the above would be : $1200 to purchase the snow blower, 5 times $100 for maintenance, 5 times $30 for gas and one repair of $300 for a total of $2150 in cost spread equally over five years is $530 per year. This is probably the most unfair advantage since while your operating costs will occur every year, we have spread the capital cost of $1200 over five years when we know that your snow blower will last much longer. So lets break this down slightly differently. Your average annual operating cost will be 5 times $100 for maintenance, 5 times $30 for gas and one repair of $300 for a total of $950 in cost spread equally over five years is $250 per year. Total cost of snow clearing over five years is $2250 or $450 per year with potential increases each year. The cost that you may have to pay for someone to come and clear your driveway really depends on the amount of snow you get on an average year and how large a driveway you have. Also whether you want them to clear your steps as well. Ask for a written quote and ensure that it specifies how they will handle the assumptions listed above. Obviously with the numbers we have chosen for this analysis shows that the cost of purchase vs. the cost of snow clearing is pretty close. In your situation the numbers may be close to what we have assumed or they may be quite different. Substitute your own numbers based on your situation and the location were you live to help you make a decision regarding what you should do from a purely economic perspective. You can also take into account the cost of money i.e. the interest rate you could earn if you invested the money or the interest you would pay if you borrow the money. With interest rates today, these numbers are pretty small and do not play a significant role in the decision to buy vs hire. 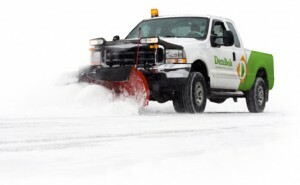 Assuming our variables are close to your situation, you will quickly realize that the decision to buy vs hire snow clearing services really comes down to an emotional issue. Do you really want to get out their and blow snow when it is cold and windy. Imagine your are trying to get to work on time and you have to be concerned about clearing the driveway so you can get your car out. Personally I enjoy getting out and playing with my snow blower. Sometimes I will also clear snow from the neighbors driveway to give him a break. He will often return the favor as well for us. Finally one last comment on the buy vs. hire decision. My snow blower is over 22 years old and I might have spent $500 on repairs over the past 22 years. I do all of the work myself and purchase any parts I need from a local repair shop. In my situation the decision is obvious. Buy the snow blower and clear the snow myself even if I need to hire someone to maintain the snow blower. Feel free to make any comments on this post. We will be glad to add them as comments providing they are not spam comments. For more general information about snow clearing, snow tire chains and more, click here. Snow blowers can be great time saving devices as well as protecting and avoiding sore backs and keeping other sore muscles from developing. 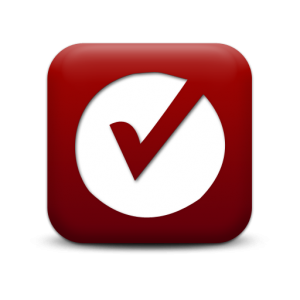 This site is aimed at helping consumers make decisions about whether they need a snow blower or not. What type they should purchase? What they need to know about maintaining their snow blowers as well as repairs. Consumers purchase snow blowers for many reasons, however the main health issue that consumers should be concerned about is triggering a heart attack while shoveling snow. A snow blower can prevent heart attacks, especially when the snow is heavy and wet. Many people every year suffer heart attacks while shoveling snow every year. If you do plan to shovel the snow from your driveway, take your time and if you do get short of breath, STOP and take a break! The snow can wait and you can always come back later to finish the job. If you are in a hurray, ask someone to help before you trigger a heart attack which can ruin your life. Consumers also need to know that they should let the snowblower do its work. All you need to do is steer it and point the blowing snow in the proper direction. Many people make the mistake of trying to push or pull the snow blower, when you can just engage the drive and steer it in the right direction. Let the tires or treads push the machine ahead and if you have chains on your tires, they will not slip and actually push the snow blower along at a steady clip. Trying to manhandle a 500 pound snow blower can be tough work and could trigger a heart attack as well. Let the machine do its work and you steer the machine! If you have a long driveway and the snowplow dumps a great deal of snow at the end of your driveway you may want to consider purchasing a snow blower. Double car driveways, lots of snow to shovel, walk ways and yards that need clearing are excellent reasons to purchase a snow blower. In later posts we will talk about how you decide which snow blower is the right one for your needs. 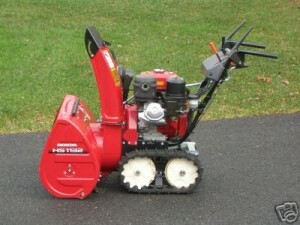 There are number of things to keep in mind when you purchase a snow blower. The items listed above are important and if you think about them, the answers will help you decide which snow blower provides the best solution for your application. Of course the more features you have and the more powerful the snow blower is, the higher the price is going to be. Transportation can be an issue for delivery and also when you want to have your snow blower maintained or repaired. Always have all guards in place, never direct the discharge from your snow blower towards other people or windows. Stop the engine and disconnect the spark plug if you need to remove debris from the auger. Always keep the machine clean and free of oil and gasoline that may be spilled anywere on your snow blower. Always tightly wrap scarves or other loose clothing so that there is no chance of these items getting caught in the snow blower. Most people just look at price and average sizes of snow blowers. They should also give some consideration to the warranty, the location and availability of a place to take your snow blower should it need maintenance or repairs. Parts availability is also an issue? Were do you get parts? Can you do some of the maintenance work yourself. We will review all of these details and more in later posts about snow blowers. Most people will wait until that first major snow fall. Guess what so is everyone else and the chance of finding a snow blower on sale at this time is remote. In addition consumers could find that there are no longer any snow blowers left for sale. This phenomenon almost every year just after a major snow fall. Consumers are fed up with shoveling snow and decide they are going to get a snow blower only to find that the store is sold out. Features are also important to consider. 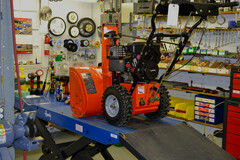 Electric start, head lights, power chutes for angle and direction, dead man switch, ease of oil changes, snow guards and guides so you know were the edge of the snow blower is in deep snow, tire chains, battery electric start or plug-in electric start are all items that are convenient, but also drive up the price. So it helps to decide a head of time regarding which features you consider must haves and those that are considered nice to have vs. the price of these additional features. Finally if you do not see a subject that you are interested in please send us a comment and we will be happy to add a post on the issue you identify. Give us sufficient details so that we can adequately deal with your issue. We hope you enjoy our web site and posts about snow blowers. We also have a web site that reviews lawn mowers for consumers. Click here to proceed to our web site about lawn mower reviews.